I can build websites that have e-commerce capabilities, depending on your needs. From a website that advertises your business online while selling a few of your products through a simple shop app using Paypal, to a fully functioning online store that takes multiple card payments, I can guide you and get you up and running. If your needs are very simple, I will make sure it stays simple on your site. Whereas a large e-commerce site may require someone at your end full-time – managing its backend admin area and processing payments and orders. For larger online stores, I use the open source online shopping cart called OpenCart. This has an incredible number of options and features, which I now have several years experience of implementing. OpenCart has an “out of the box” look, which I can fully customise to match your brand, and the default features and functions can be added to or disabled according to your instructions. 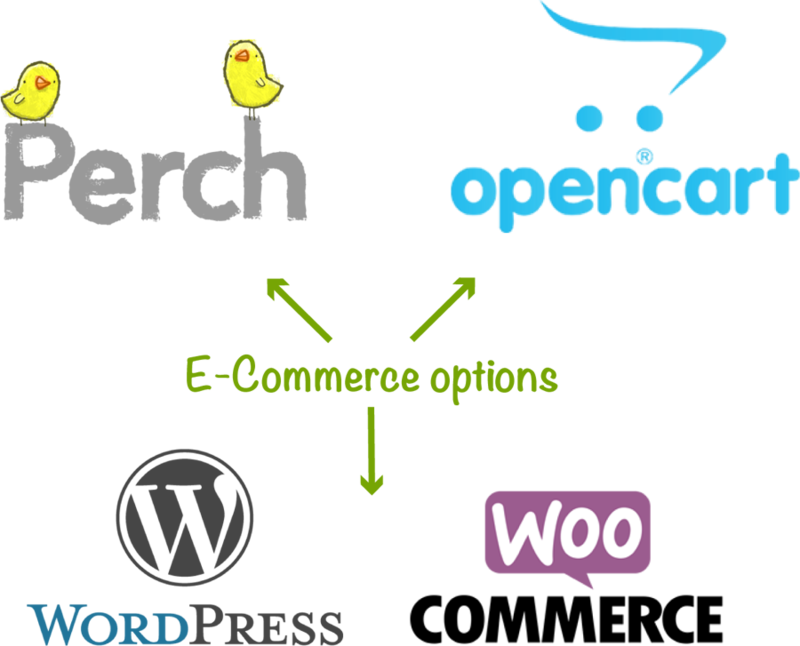 I also use Perch CMS, which is useful in adding CMS and E-commerce capabilities to a static site, and Woo-Commerce, which is an extension for the popular WordPress CMS of which I have a large amount of experience. If you’re interested in starting an online store and would like some advice, or you’re interested in how I could help you, then please contact me today.